MFC Fried Chicken & Pizza, Great Yarmouth sells takeaway fast food for collection or delivery. On arrival in Great Yarmouth follow signs for the town centre. 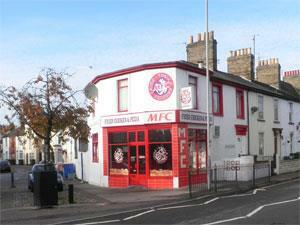 MFC Fried Chicken & Pizza is located on Nelson Road North where it crosses with pedestrianised Regent Road.